I got a USB Wacom Graphire tablet from someone who does not use it any more. It was a popular tablet that is still available on eBay. This tablet consists of a 6 x 8 inch drawing tablet, a stylus, and a mouse. An OS/2 developer in Japan named Masami developed a device driver and software many years ago when this tablet was new. He has released updates and fixes for this software over time. His website provides links for downloads of the software and drivers and no more. Drivers are provided for both the serial port and USB Wacom tablets. I have the USB tablet, so I used the W2_0xx driver. I did not try the W1_0xx driver because that is used for the serial port version of the tablet. To set up the USB tablet drivers, unzip the USB tablet driver to its own directory. In my case, I named mine QueenCy. Copy the TabDll.Dll file to a directory on the LIBPATH. Unzip the IBM Pen for OS/2 driver to a temporary directory, and then unzip the DRIVERS.ZIP file found within the IBM driver. The EMI.SYS file is found in the DRIVERS directory. Copy EMI.SYS to the same directory as the USB tablet driver. Then I edited the CONFIG.SYS file to add two lines, which must come before the line that loads the mouse driver. After rebooting the mouse should work with or without the table, and you should be able use the stylus and tablet to navigate the system. The QueenCy software works well here. I downloaded the software and unzipped it to the same directory. I created a program icon for QueenCy.exe. 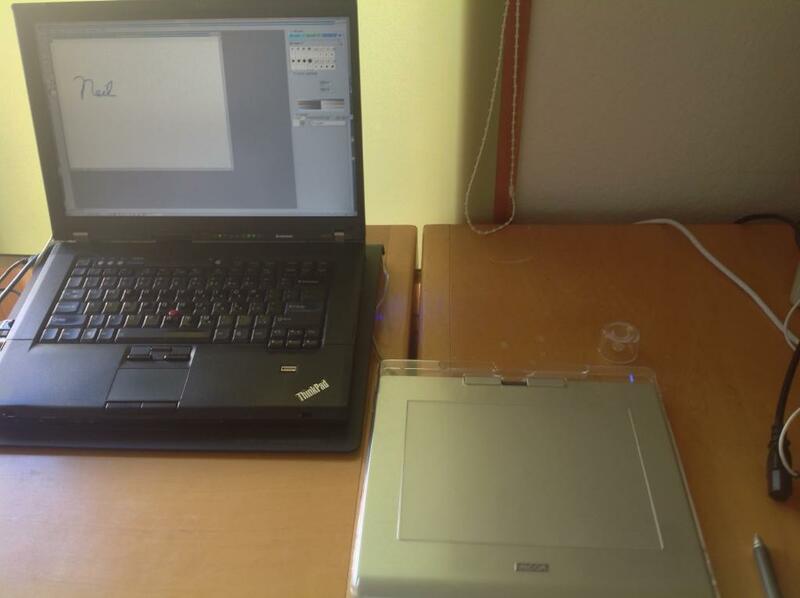 This is a photo of the Graphire tablet connected to an OS/2 laptop. 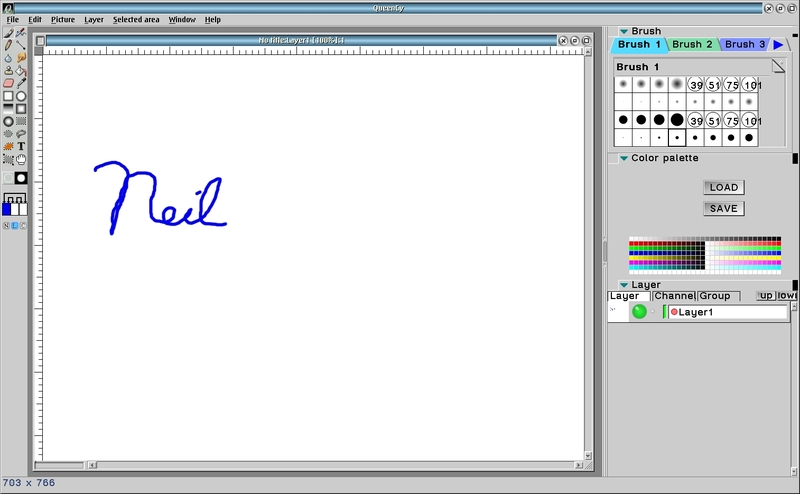 This is a screen shot of the Queen Cy software using the Graphire tablet. I have not yet found how to get mouse button 2 to work on the stylus.